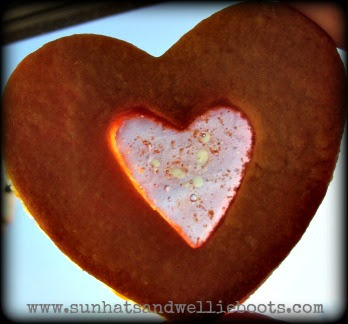 How about sharing a little love any day of the year with these sweet heart cookies. Simple to make & great to share! 1. Sieve the flour into a bowl, add the butter & rub the mixture until it resembles breadcrumbs. 2. 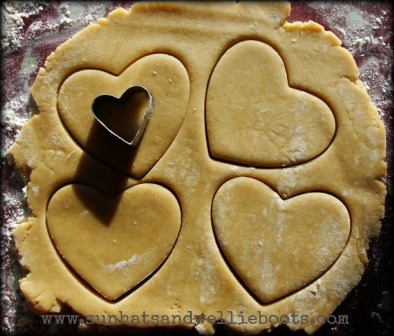 Add the sugar & milk, & mix until a soft dough consistency is formed. 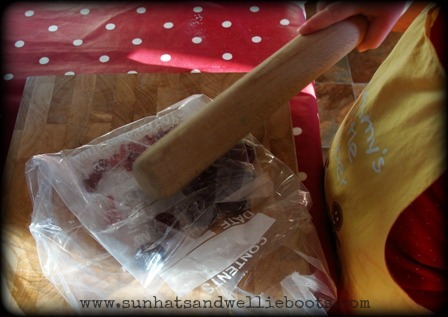 Transfer the dough to a plastic food bag & leave in the fridge for 1 hour. 4. 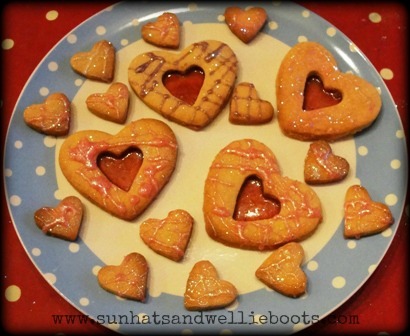 Once all the hearts are on the baking tray it's time to add the sweets (a very exciting moment in our household)! 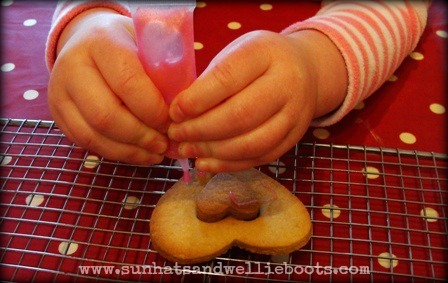 Sprinkle the crushed sweets into the centre cut-out, taking care not to spill too many onto the cookie. If you wish to make hanging cookies, just add a hole to the top of the cookie before you add the crushed sweets, & add ribbon once cooked. 5. 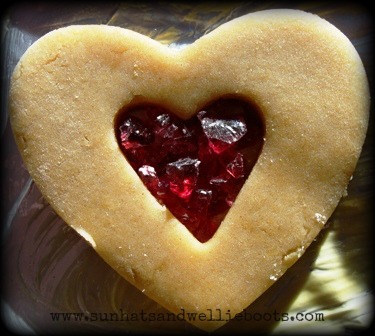 Bake for 10-15mins at 180˚C/350˚F until the cookies are golden & the sweets have melted. Remove from the oven & leave to cool in the baking tray. 6. 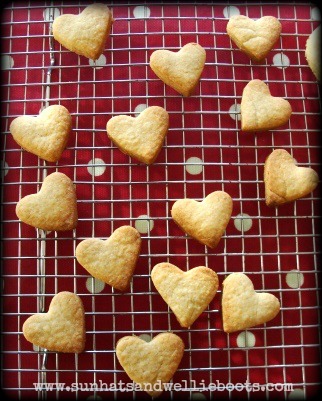 Once the sweets have set in the centre of the cookies, carefully remove them from the tray & leave to cool on a wire rack. Check out the gorgeous stained glass effect when a light is shone through. 7. 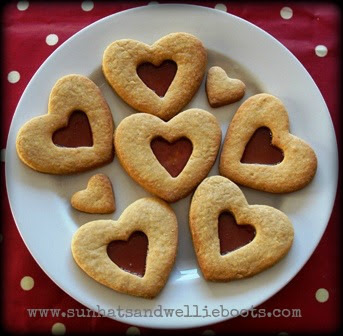 Once the cookies are cool place the smaller hearts back into the centre again. These prevent the colourful center being covered with icing in the next step, & allow you to decorate the mini biscuits at the same time as the larger ones! 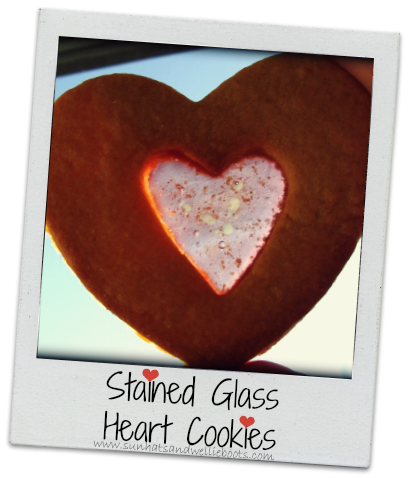 Decorate with icing pens, edible glitter, sprinkles, or anything that you think your valentine would like! 8. 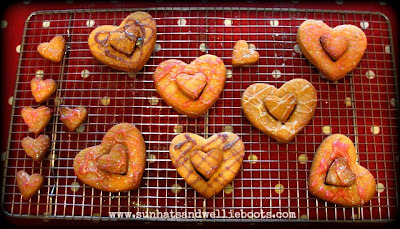 When the decorations are complete, the mini hearts can be removed & the icing left to set. Great for exploring maths & science... & they taste rather yummy too!